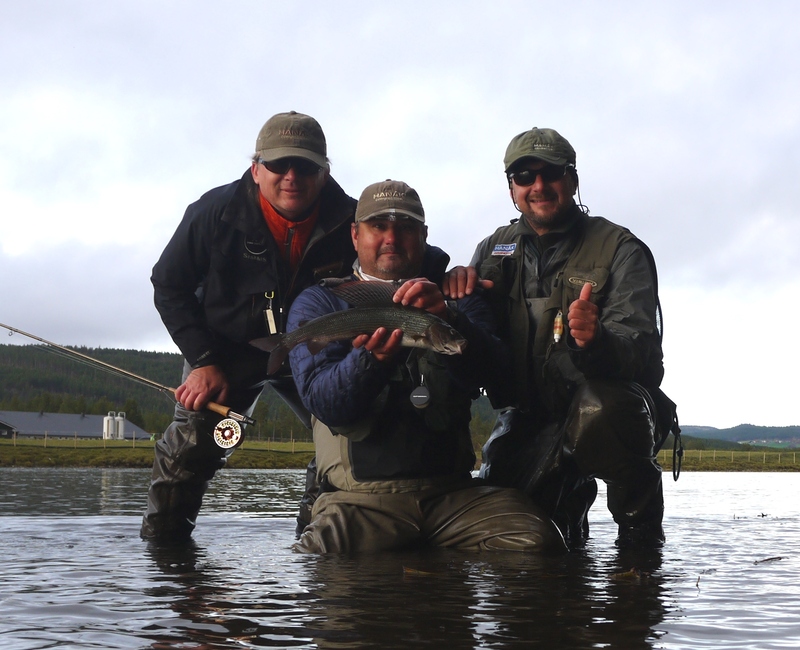 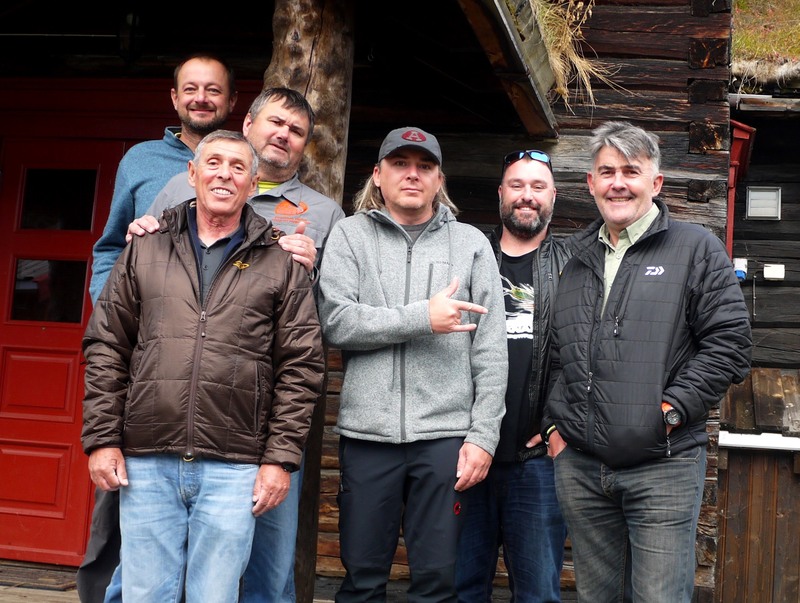 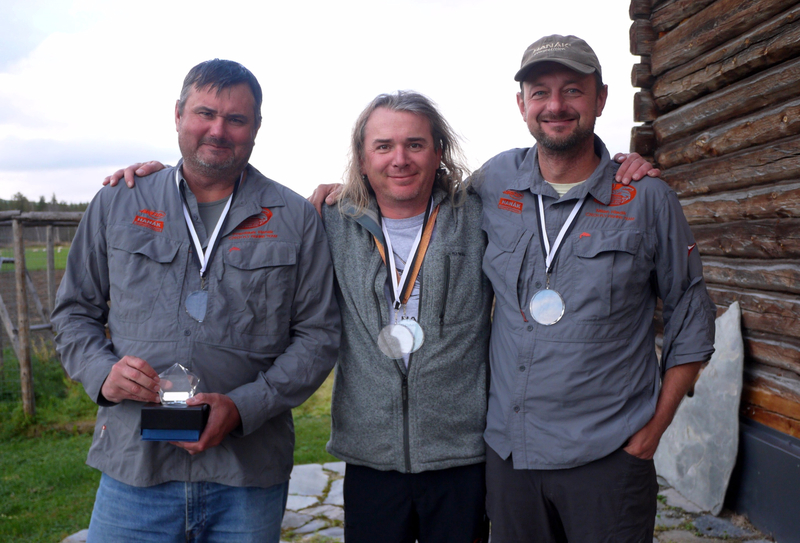 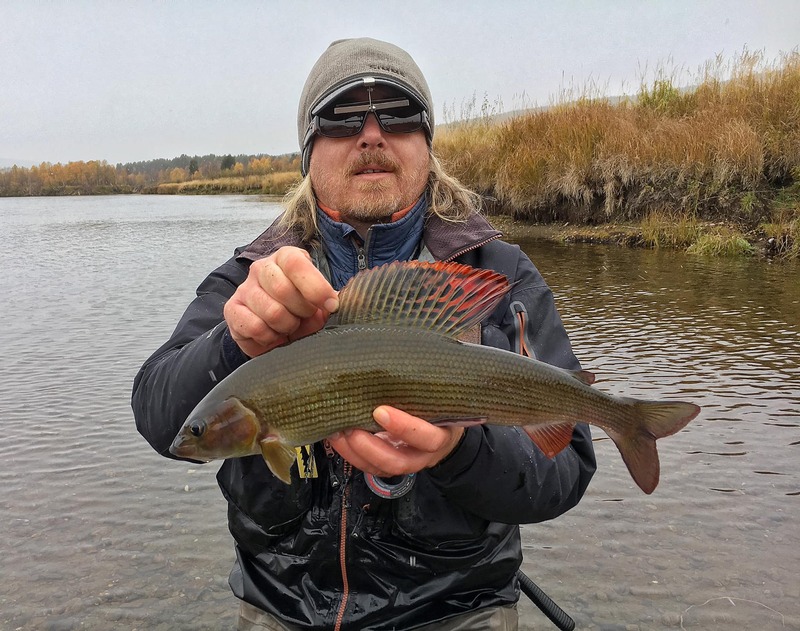 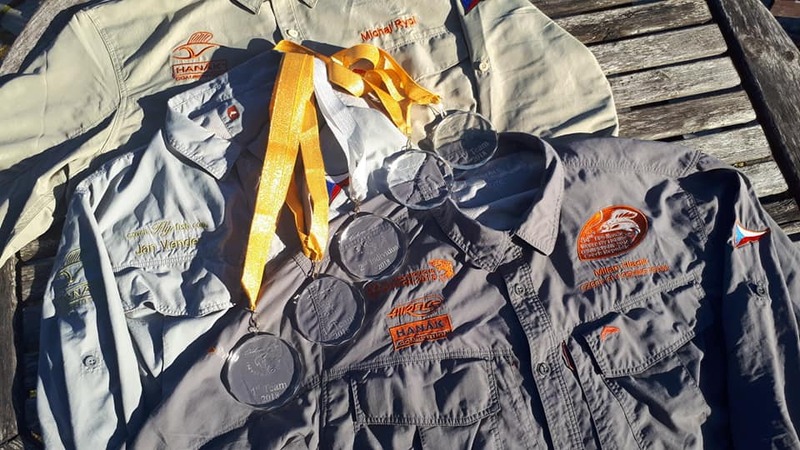 Erik Eikre invited Hanák Team to first year of the new fly-fishing competition which he organised on the Glomma river in Norway. 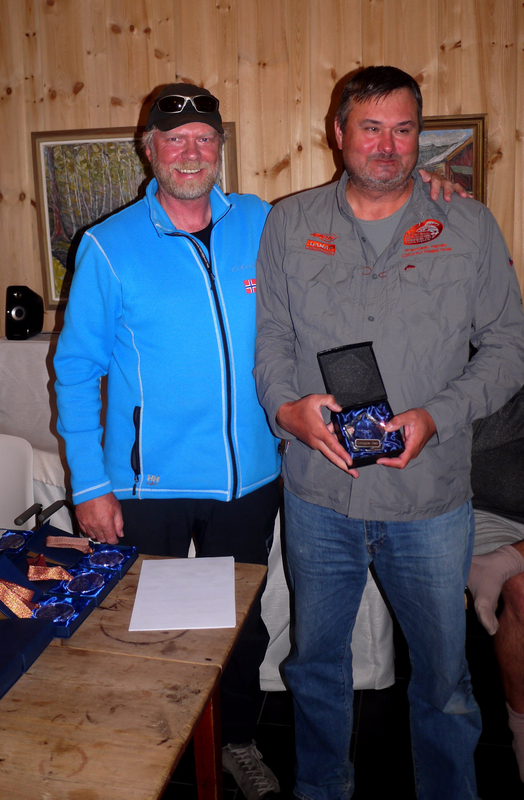 Franta Hanák offered me a place in team and this was for me the unreasonable offer. 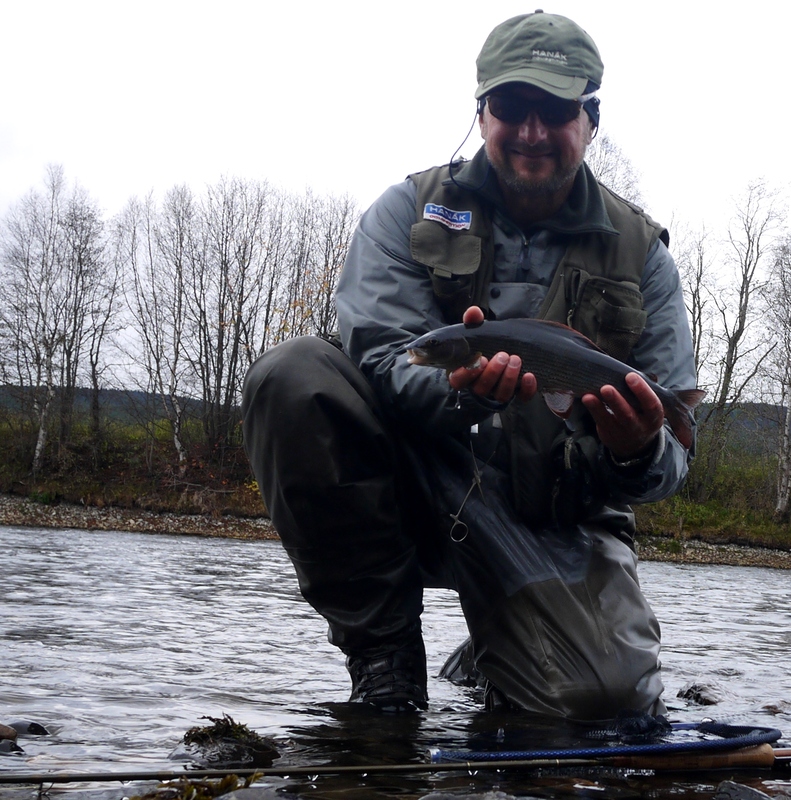 Franta more over covered part of expenses and also supplied our team by great Hanák Superlight rods. 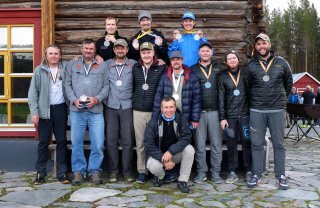 Honza, the third member of the team, was guarantee of well-being and good mood during the trip, so it was nothing to solve and I took the place in team. 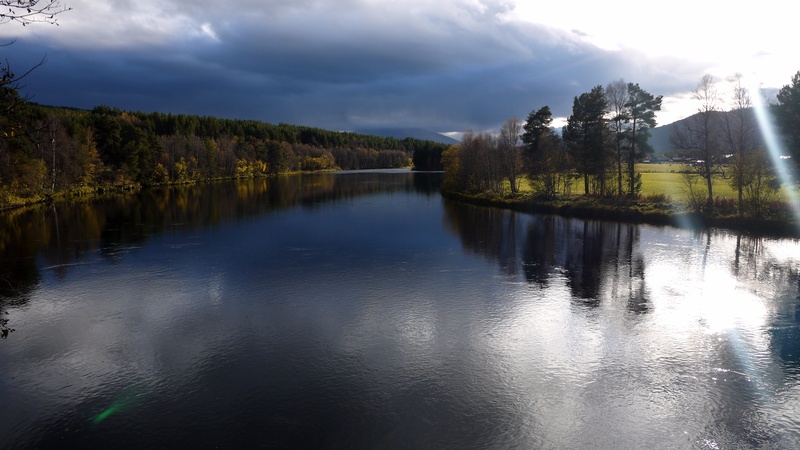 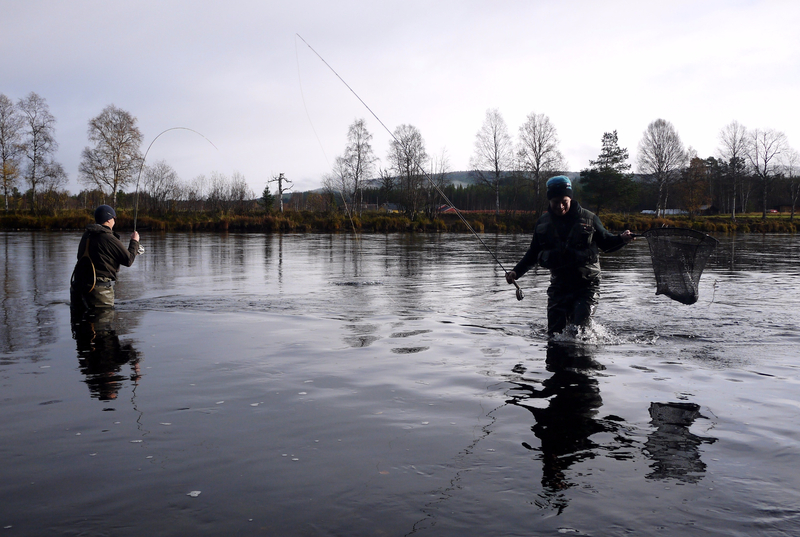 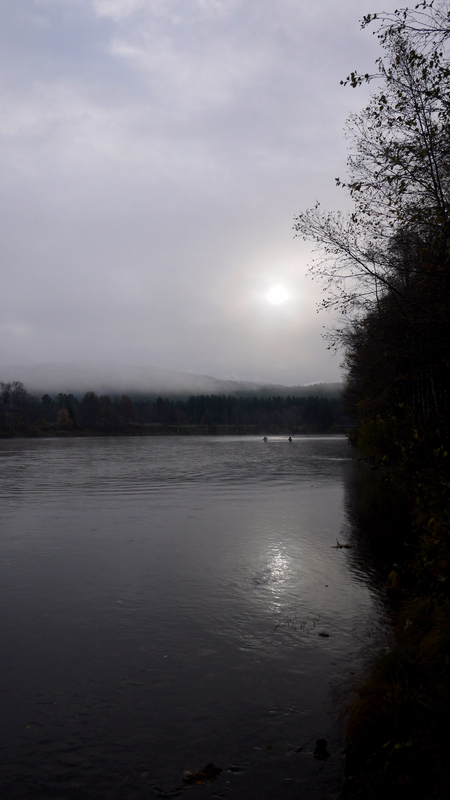 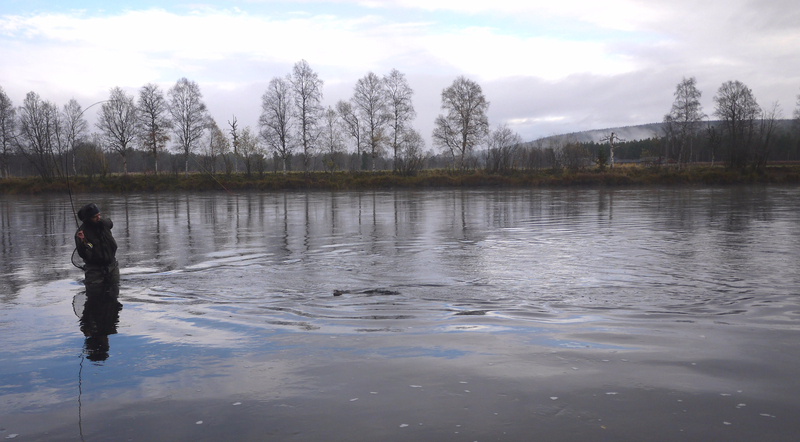 We were travelling two days in advance to have some time for practice, and also a little enjoy fishing in the famous Glomma river. 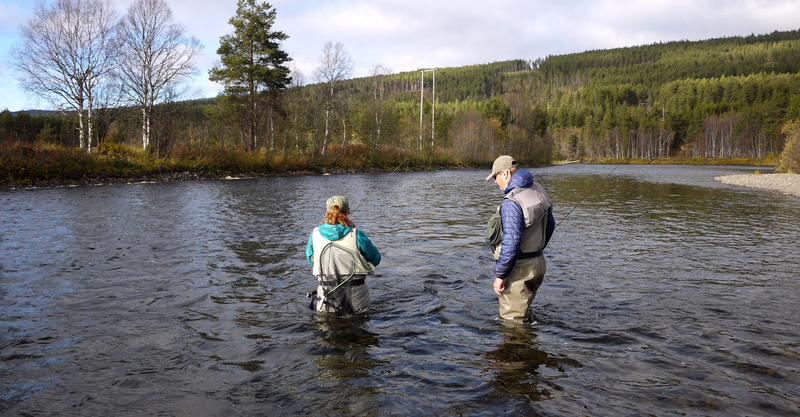 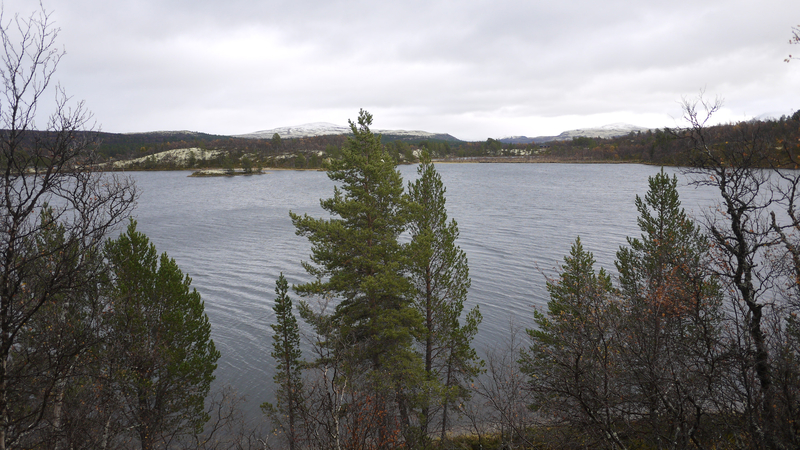 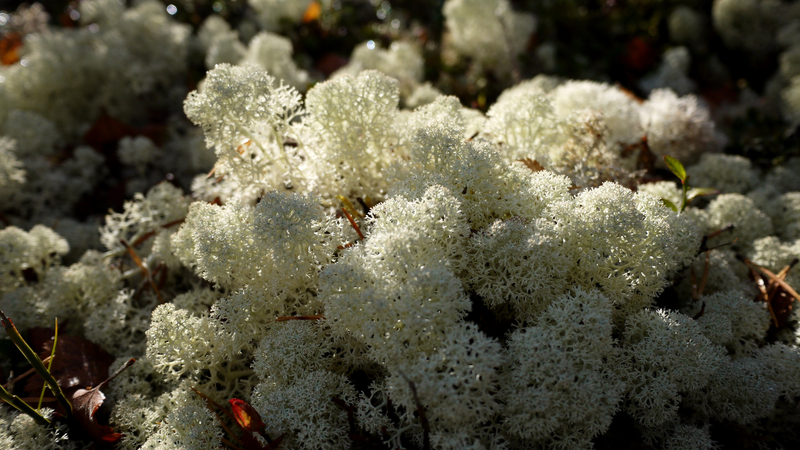 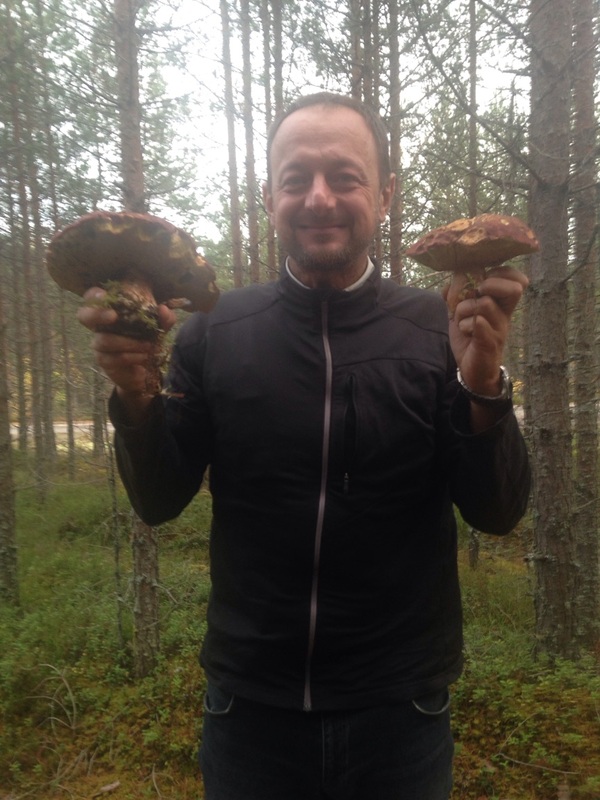 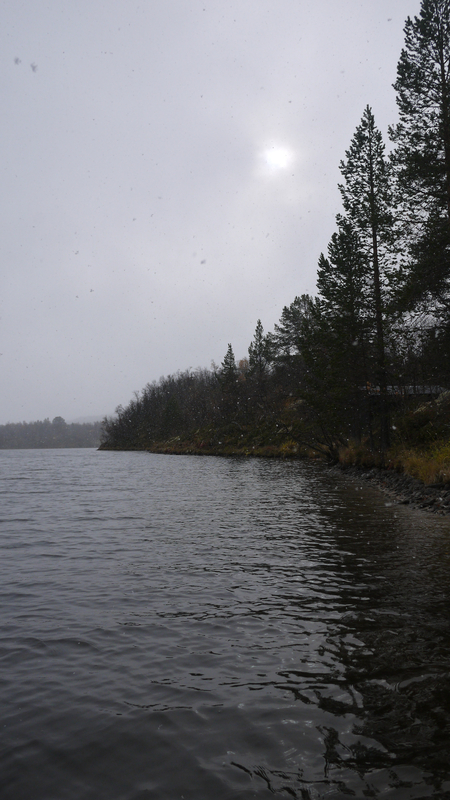 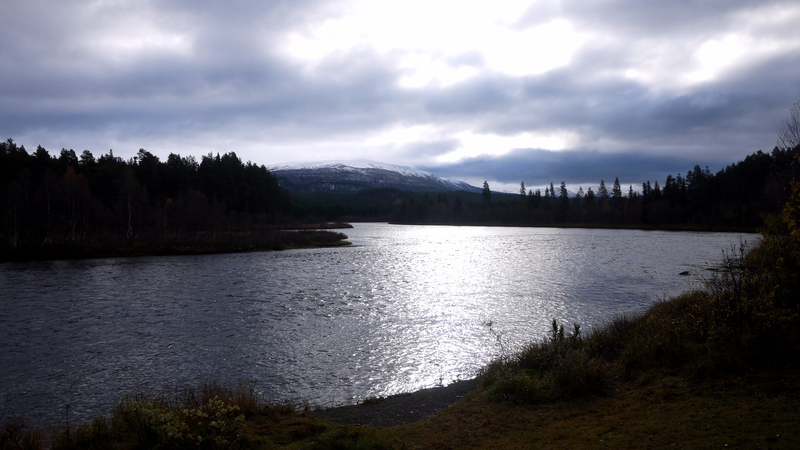 On the way from Oslo we were a little mushrooming and in the evening we reached Telneset, where Erik booked for us great fishing hut close to river. 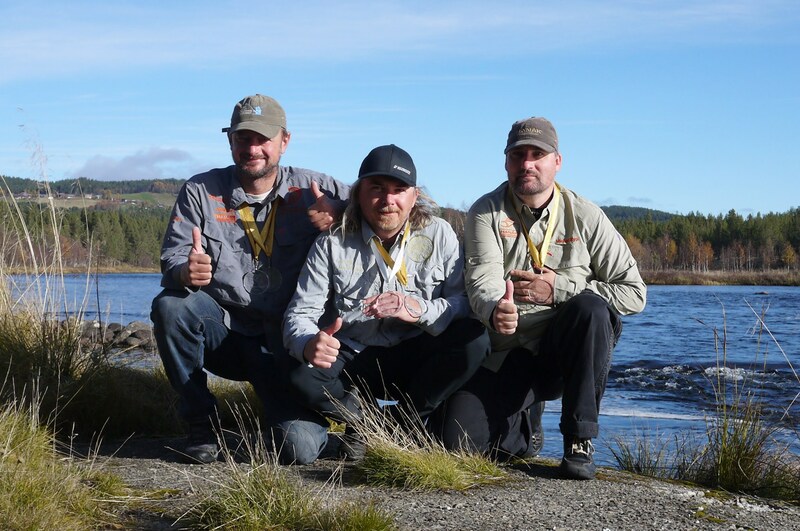 It was great to meet Erik and also Cathrine, I knew them from the World Fly-fishing Championship which I organised in the Czech Republic in 2014, so we had a lot of to talk till the late night. 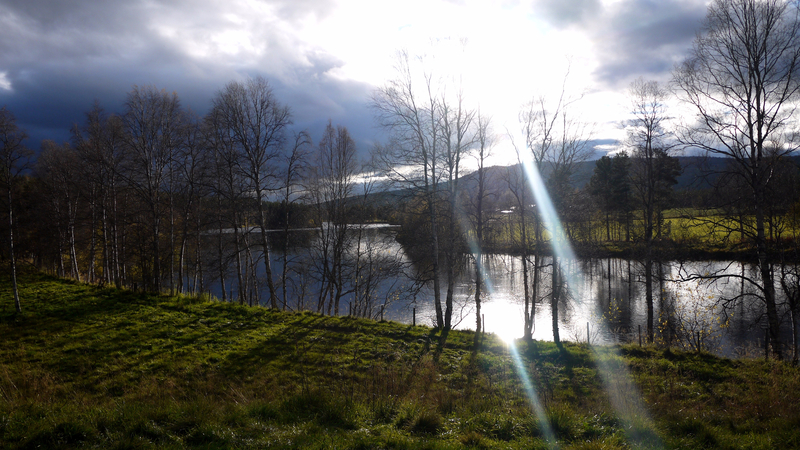 If you meet good friends after long time, you feel, like you parted with them even yesterday. 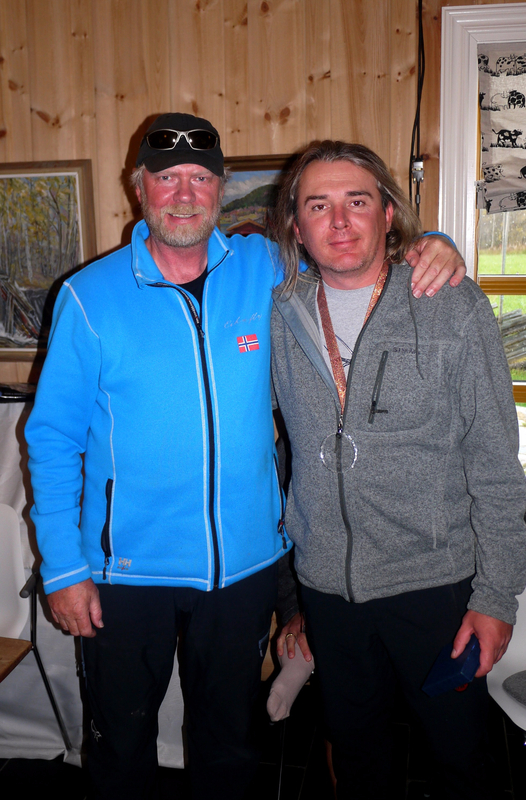 As I have organised Hanák Open competition with similar structure since 2006, we were also talking about organisation of this events and I give to Erik some advice. 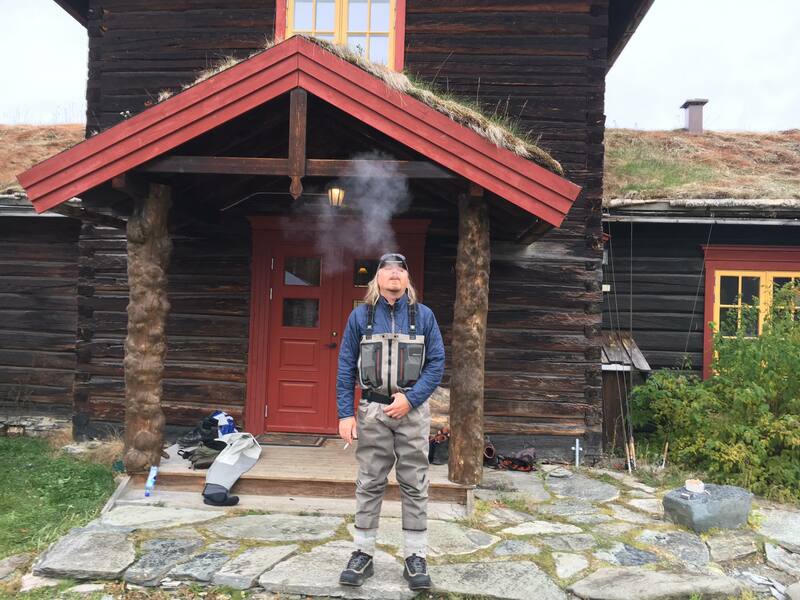 Next morning we decided to practice close the hut as we were first team in the area, so after great breakfast we prepared rods and walked to river, me and Honza crossed river, and Franta with Cathrine stayed at our bank. 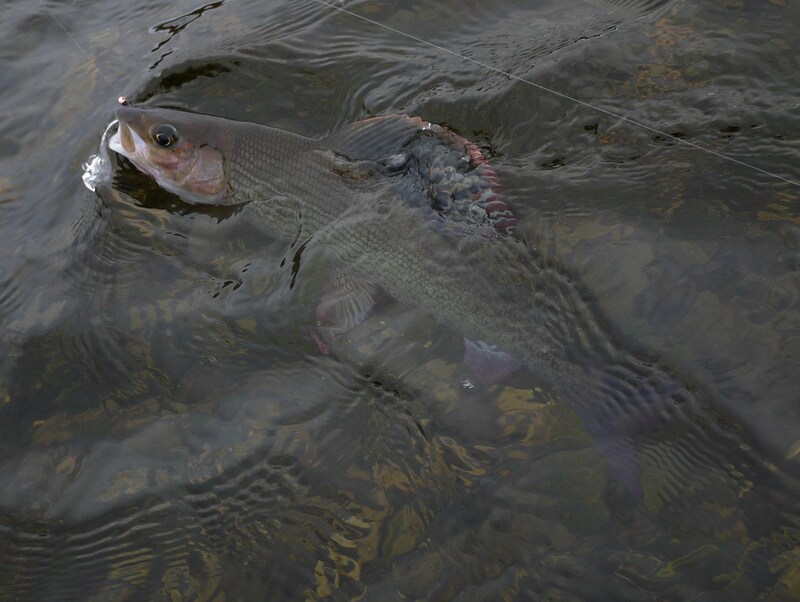 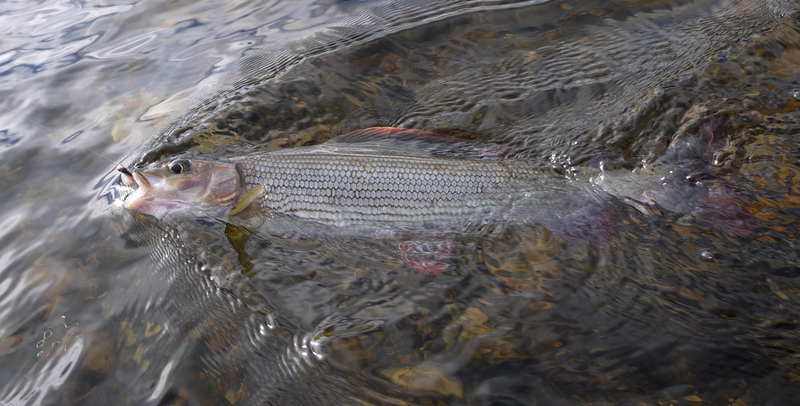 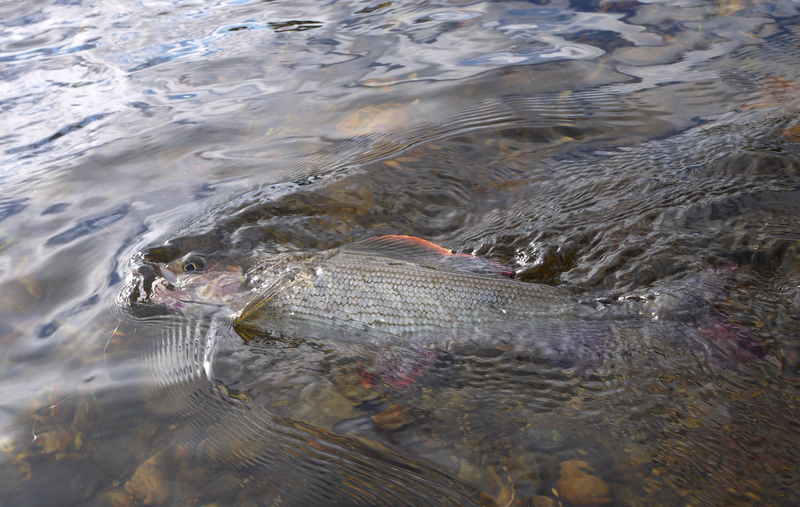 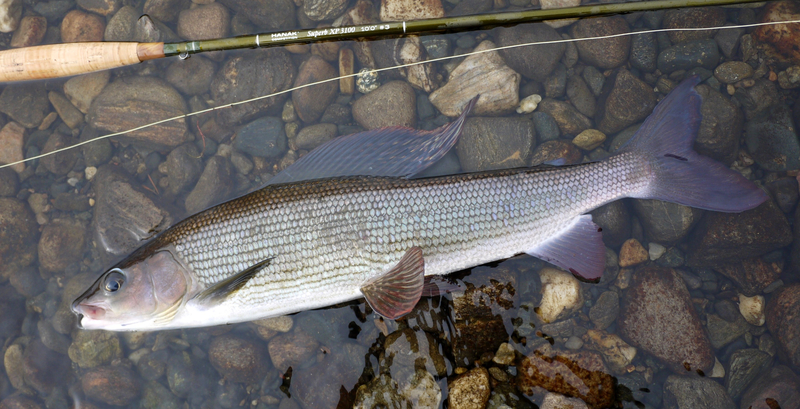 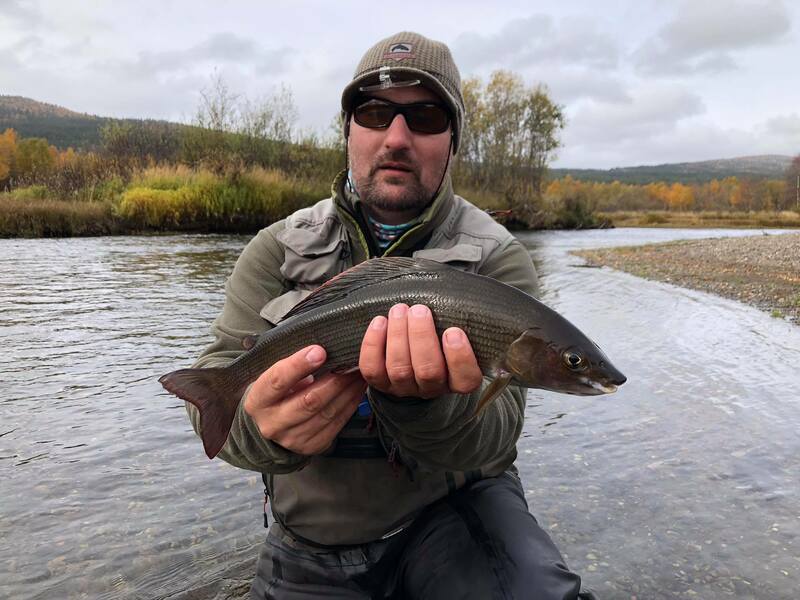 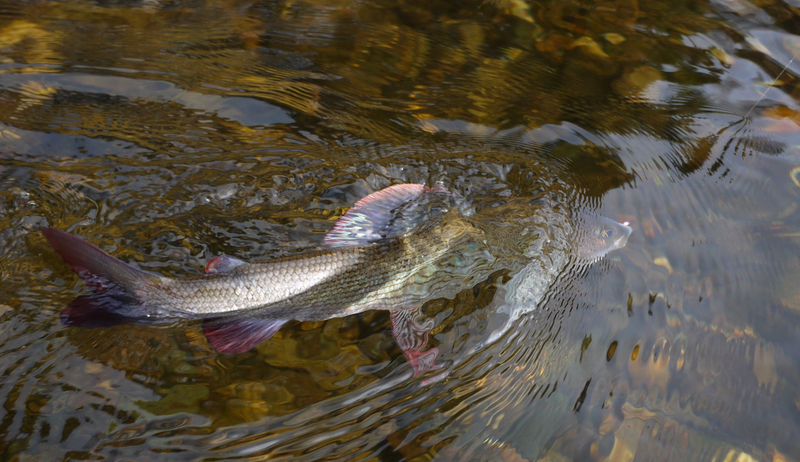 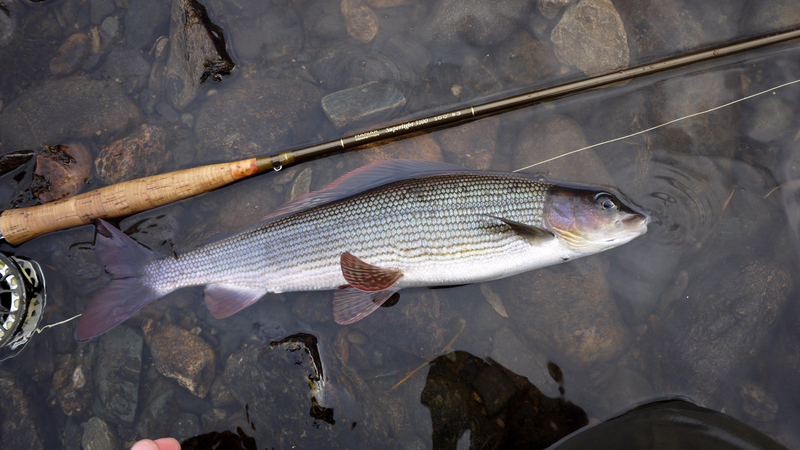 I found a nice place on the edge between rapids and pool, casted my nymphs, after few seconds the indicator slowed down, so I lifted rod a little in disbelief, and first Norwegian grayling was on!!! 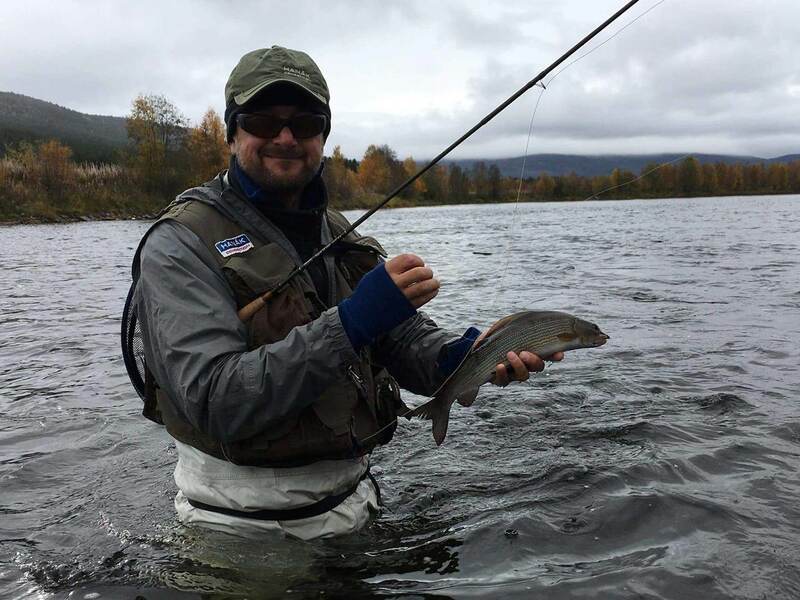 First cast, first fish, it was not a bad start . 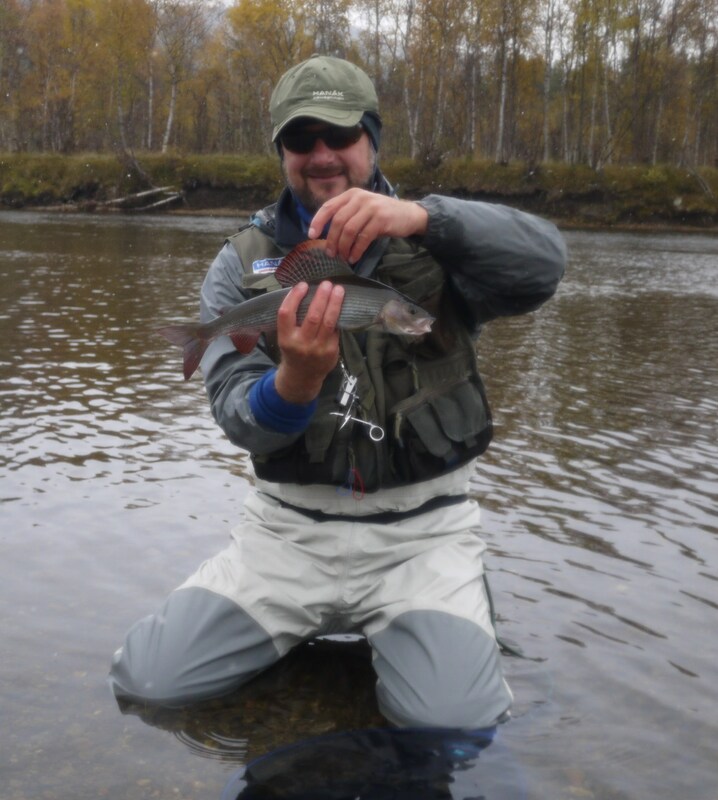 Whole morning, we were looking for different habitats to localise typical position of fish in the river, and in every suitable place (not shallow – not deep, not fast – not slow we caught a fish mostly of size from 35 cm till 45 cm, so it was great. 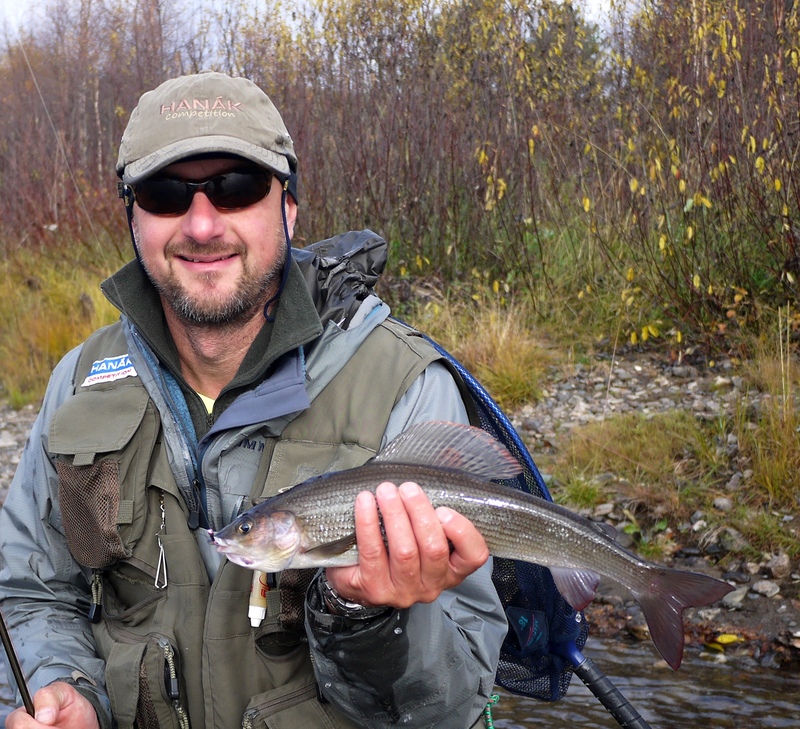 After quick lunch (I cooked three different bags of instant pasta to create an original flavour ) we moved a little downstream and also enjoyed fishing, finally I got also few fish on dry. 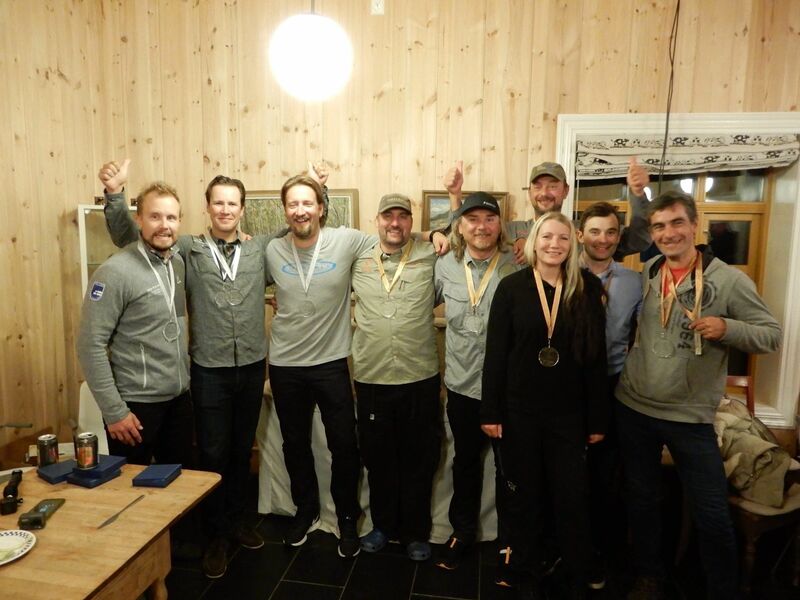 In the evening, other teams arrived, so we had again a lot of things to talk …. 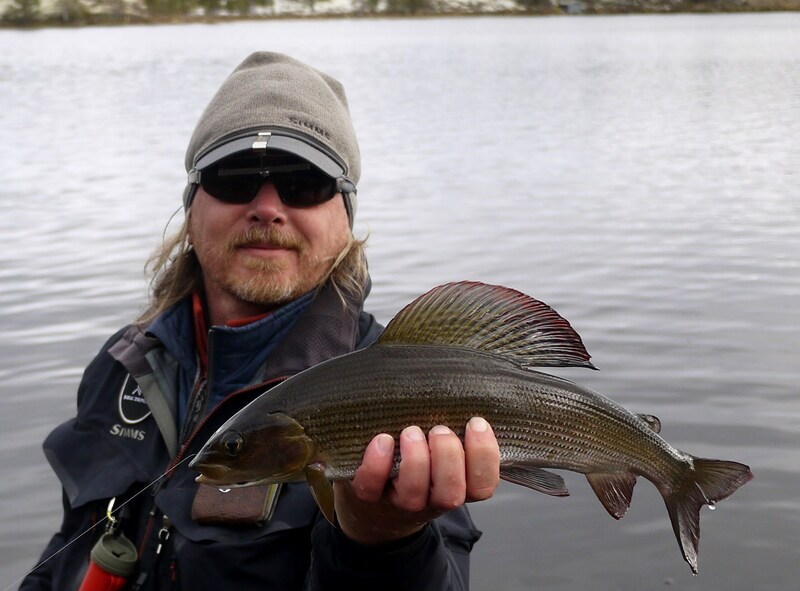 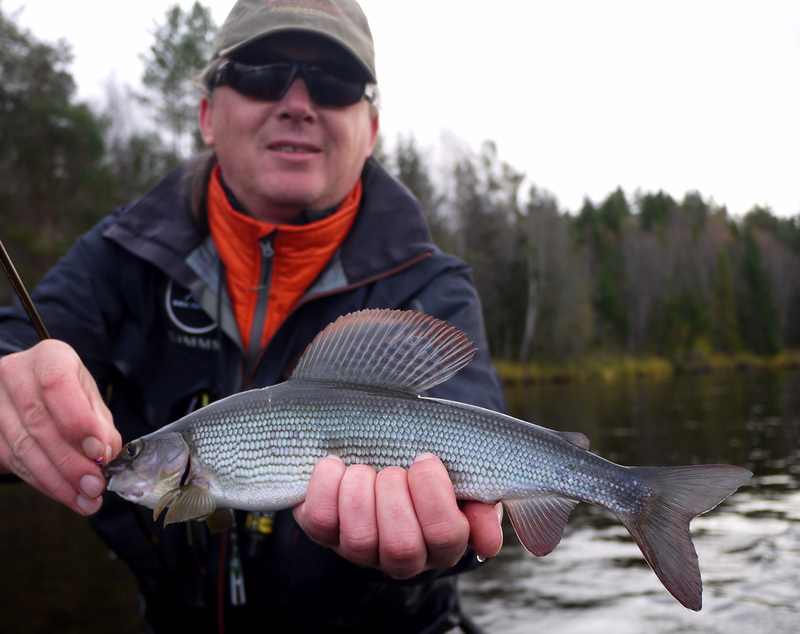 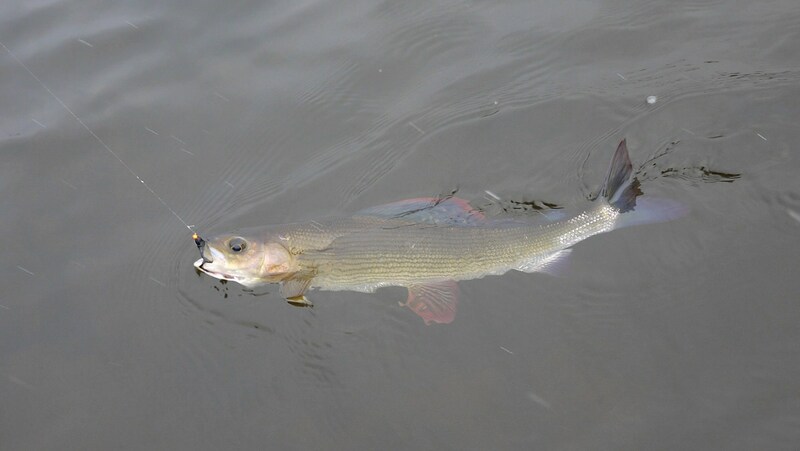 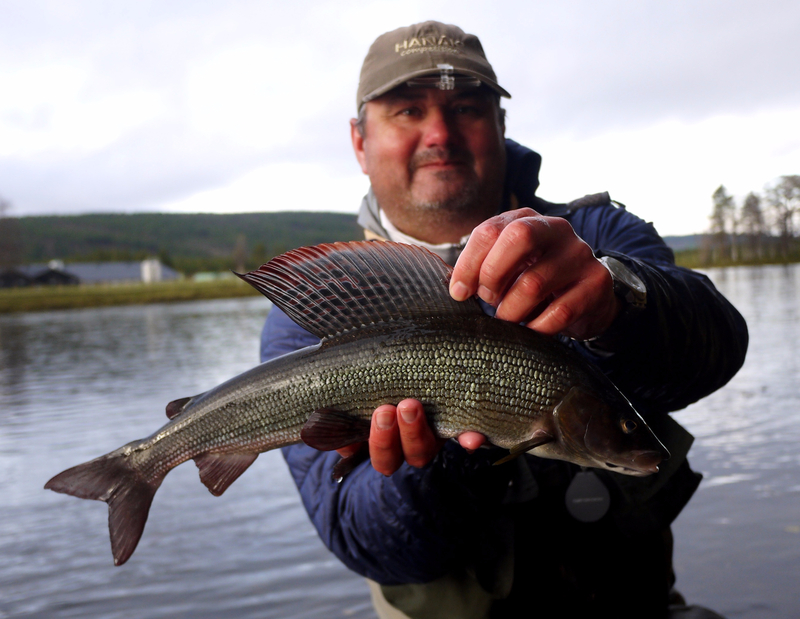 Second practice day was running also successful, including the grayling of 49 cm caught by Franta (as usually so we were looking forward to the competition. 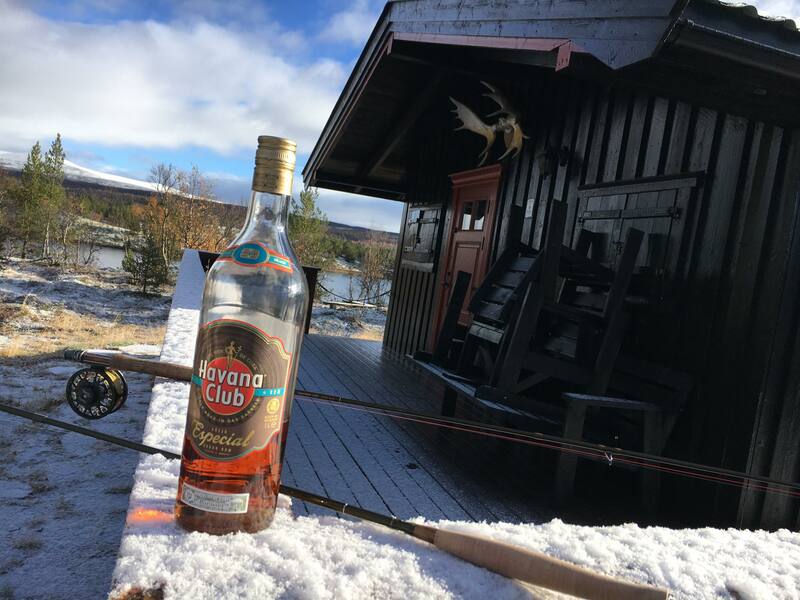 Our secret method? No secrets, nymphs size 14-16, gold, copper, silver of pink beads, pheasant tail, peacock or black body. 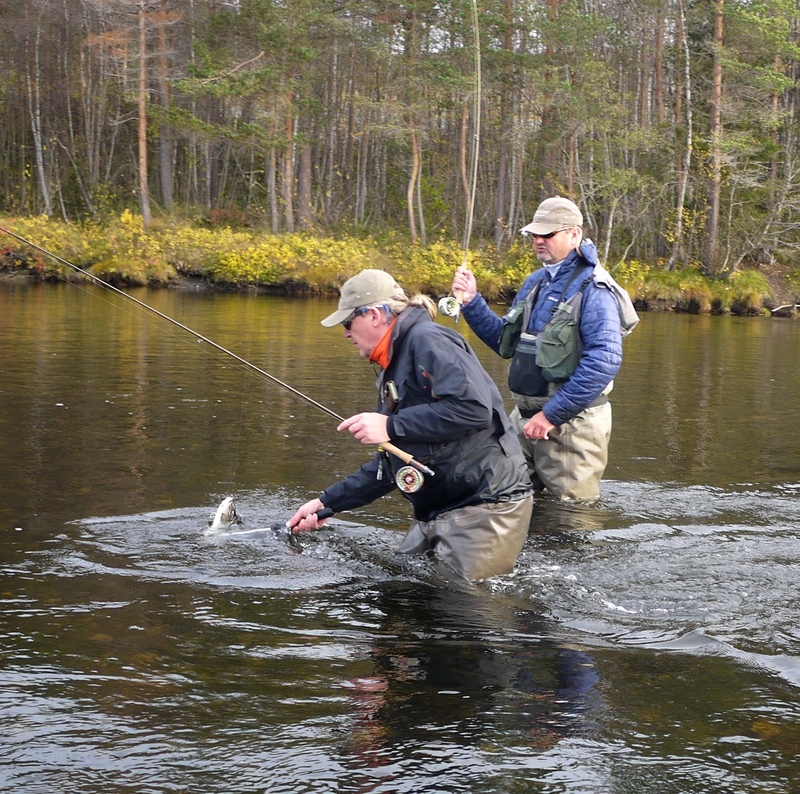 Competition had similar schedule like Hanák Open held in Wales or the Czech Republic: two members of team were fishing together in one peg and the third one was controlling neighbouring team. 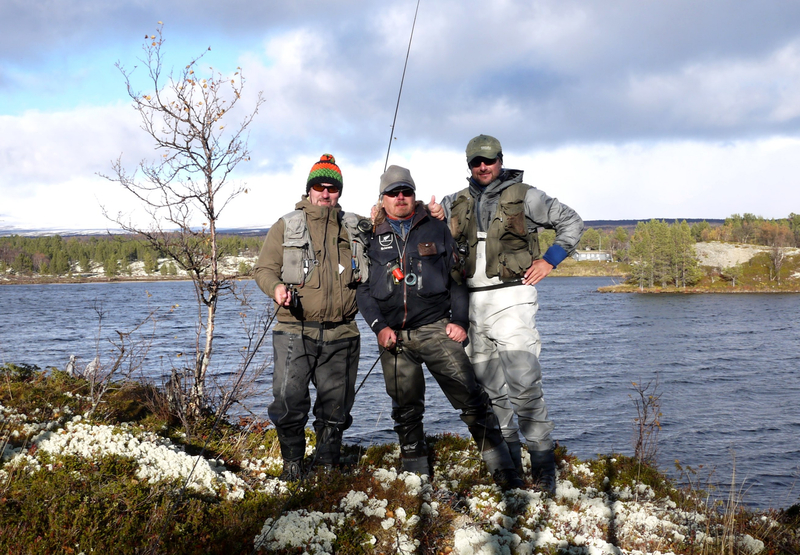 It consisted from 6 rounds, so everybody was fishing 4 rounds and controlling 2 rounds. Competition give us all we had expected, many nice fish (it was caught 996 graylings in total, average length of fish was 38 cm, longest fish had 50 cm), great weather (in the morning was -3°C and during the day we enjoyed heavy snowfall , a lot of friendship (controller was always very helpful and gave us good description of peg, when I was controlling Geriatrics team, Stein had problem to make leader in the snow fall, so I made it for him and he caught on it three fish in the last 10 minutes , tight results (differences between teams from 2nd to 4th place was created in fact by one single fish), nice prices (Erik wisely brought nice medals for first 4 teams, as he said, he hates to be 4th . 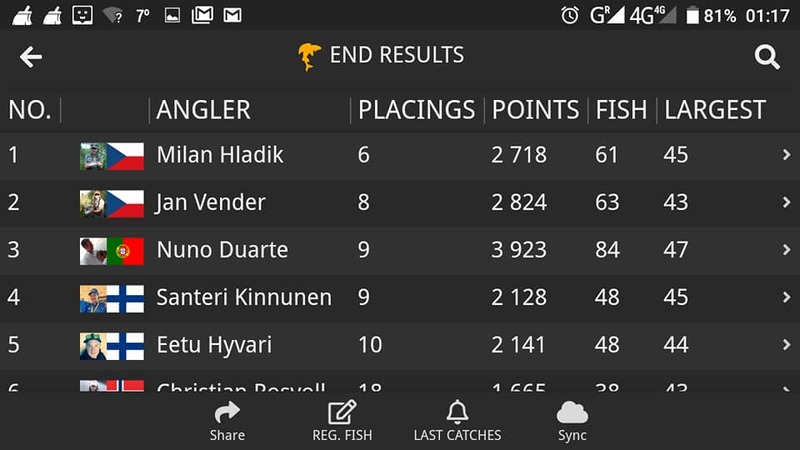 Erik also made the detailed statistic of catches during individual rounds which offered all teams possibility to compare the results and also to improve competition for next year. 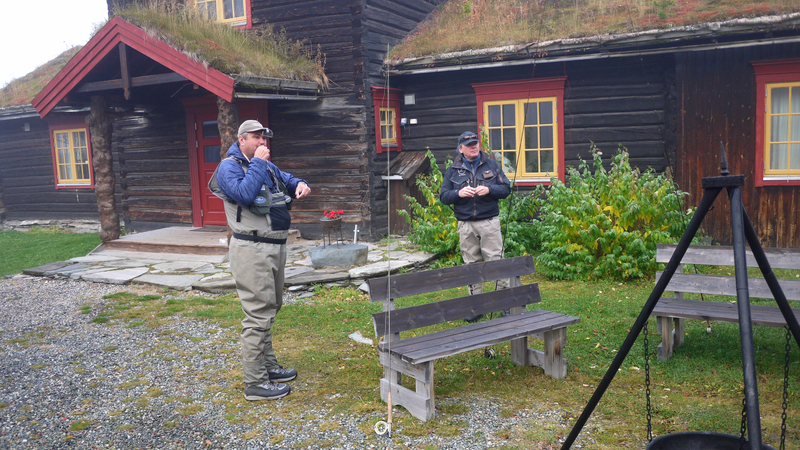 I hope to be there again, thank you Erik for the great week. 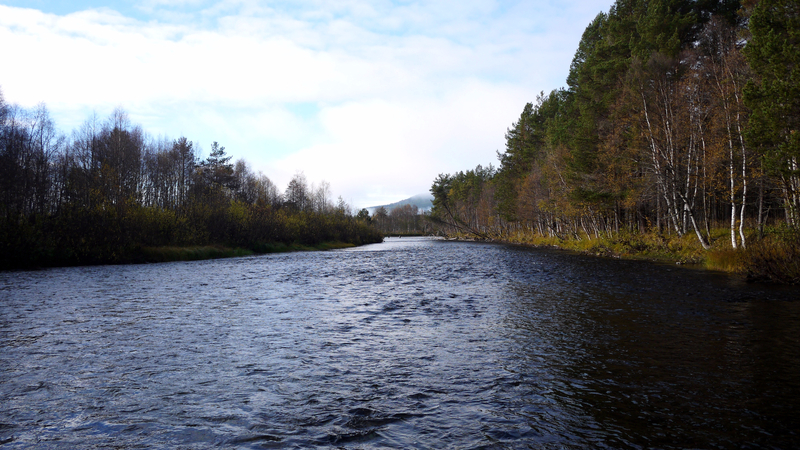 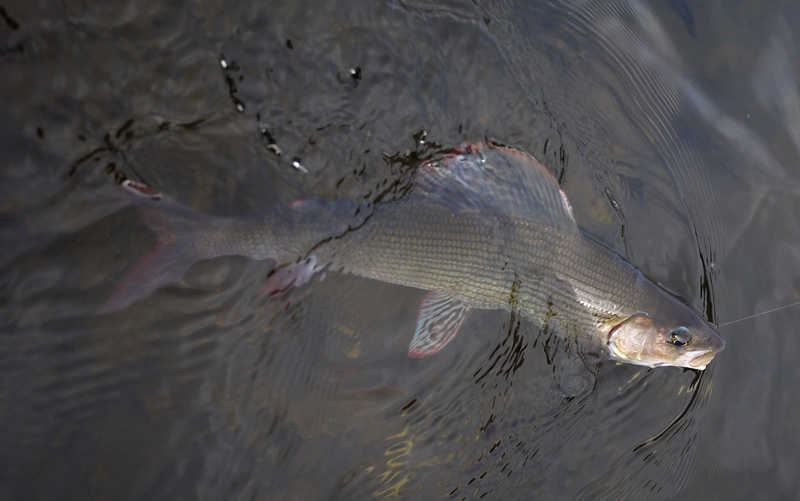 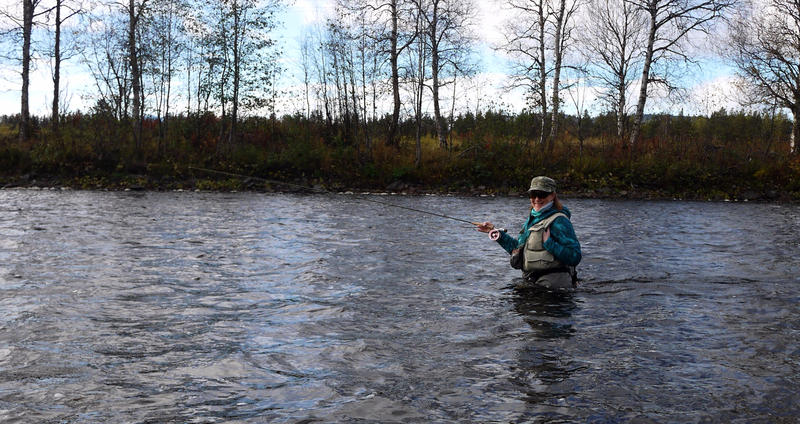 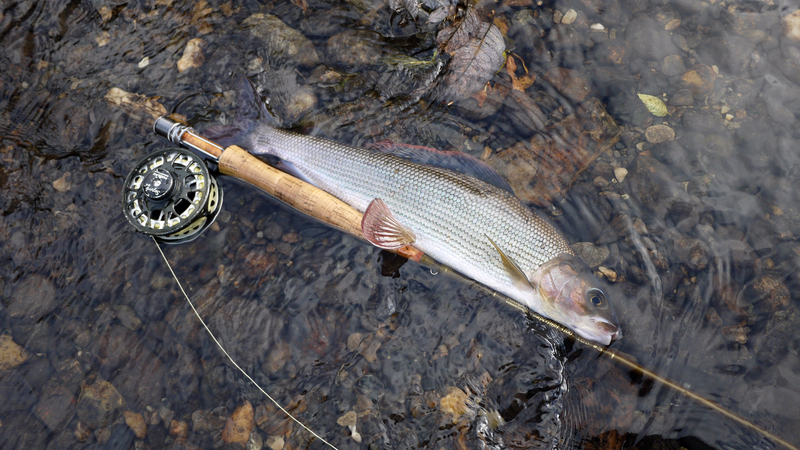 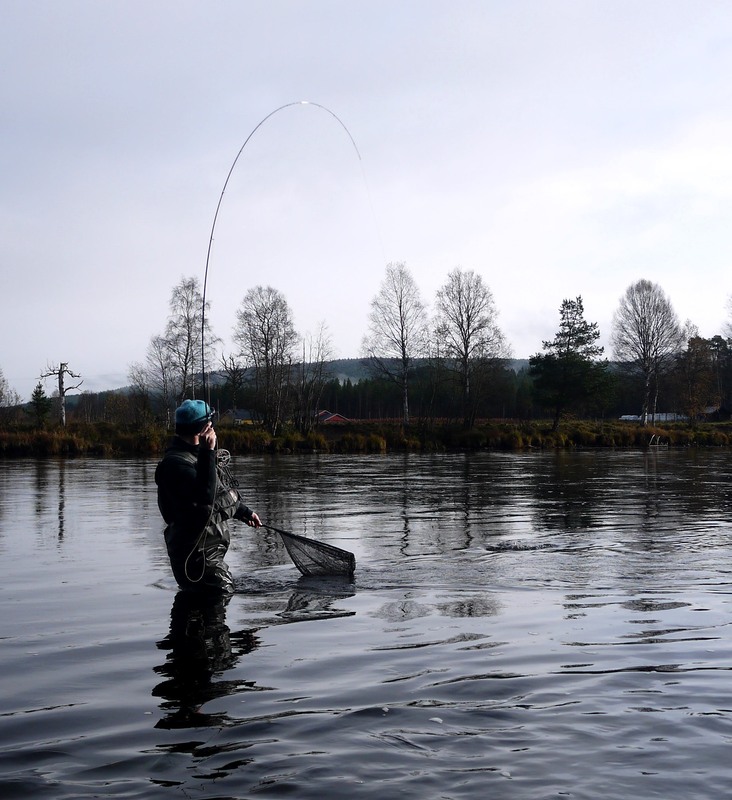 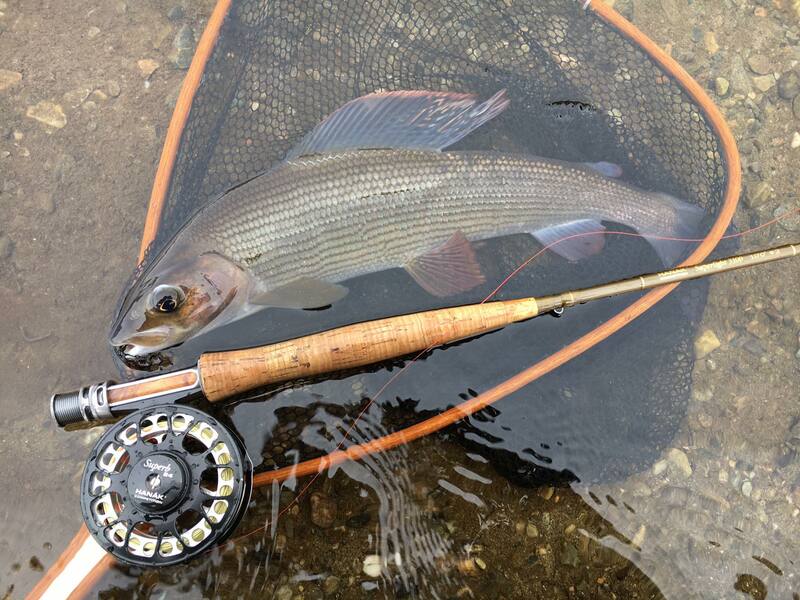 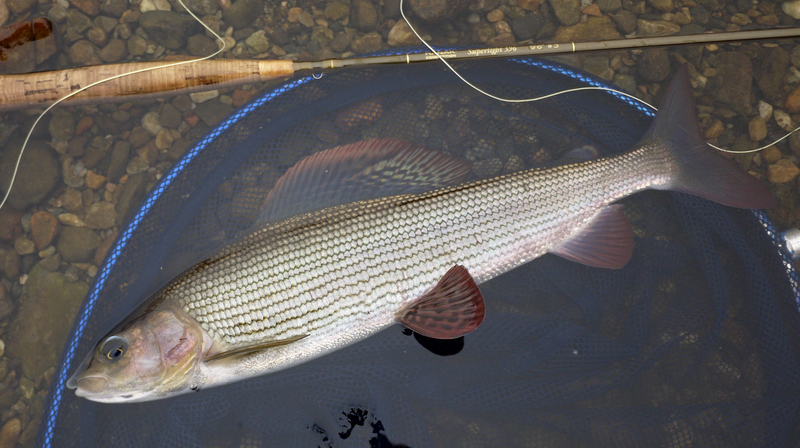 Concerning equipment, Franta supplied us by three Superlight nymphing rods 10 ft size 3 and two 9 ft size 3 for dry fly. 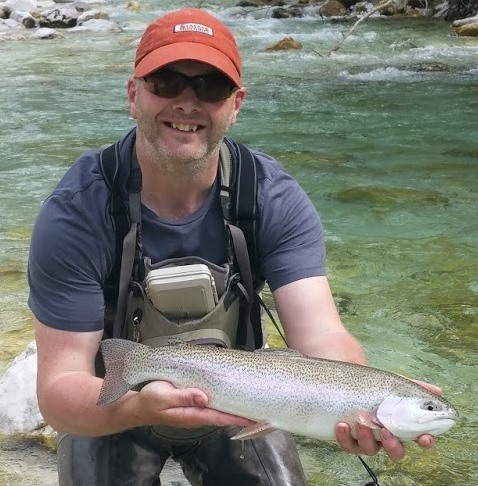 The rods totally got me, there are soft enough to fish with nymphs size 18 and leader 0,10 but strong enough to fish nymphs size 14 and securely hook and play graylings up 50 cm. 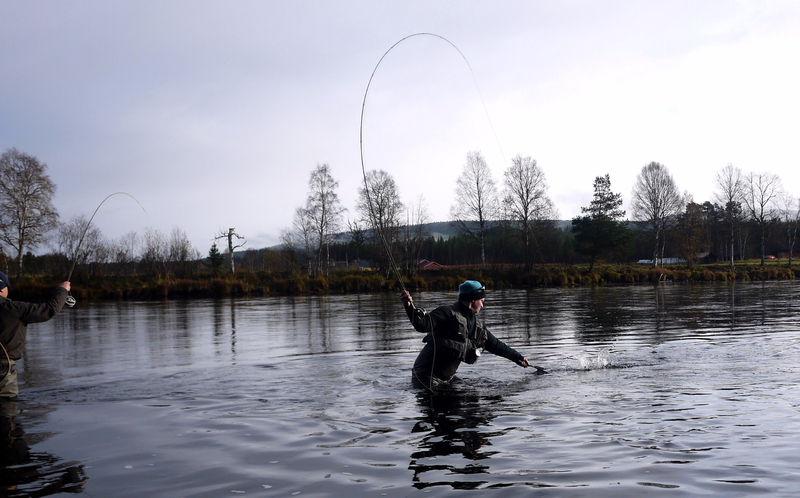 In this four days I hooked maybe 120 fish including graylings up 47 cm and I did not lost any single fish. 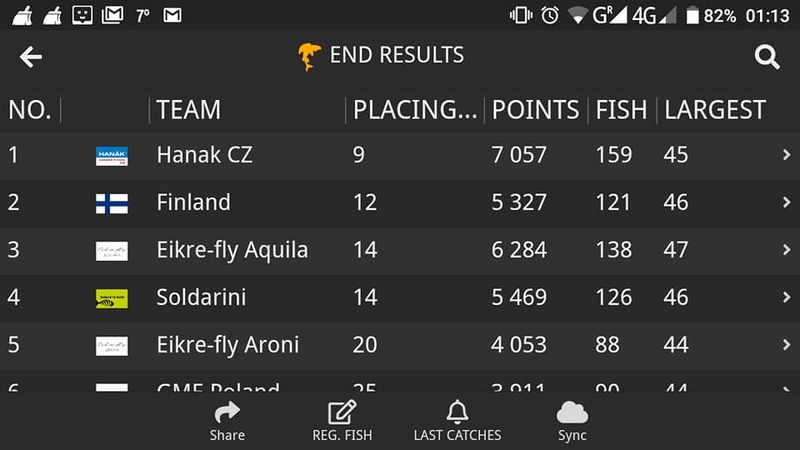 During the practice we started fishing with fluorocarbon Hanák Competition 0,14 mm, but we decided to test also 0,12 mm and we found, that it is strong enough and we used it during whole competition. 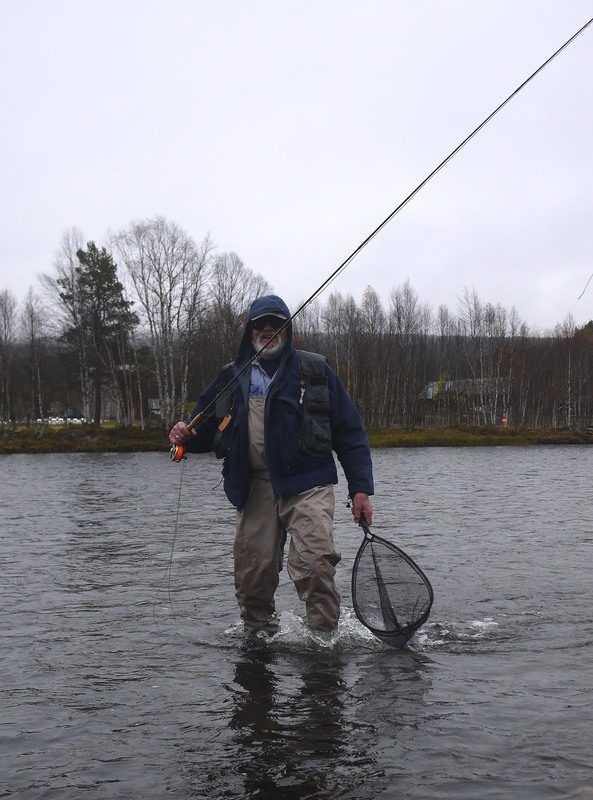 I twice got to the net couple of fish. 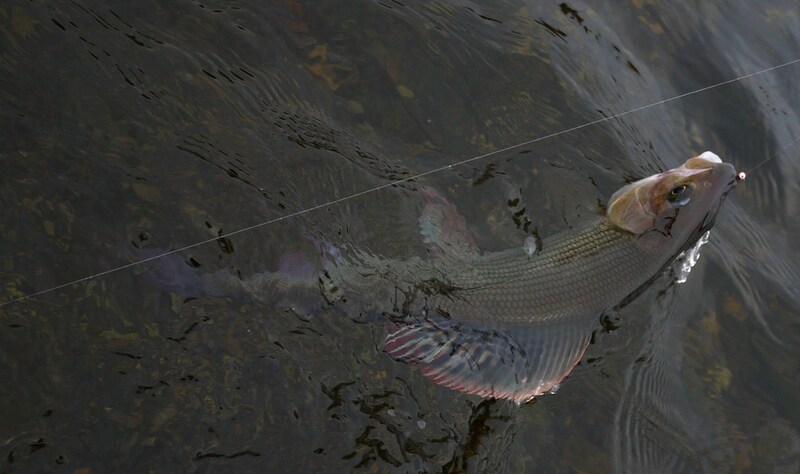 For dry fly I used 0,10 mm and it was also OK.